The Droid Incredible made its big screen debut last night in Verizon’s latest Droid campaign commercial series. In this new spot, we also saw for the second time, the new Droid Eye boot animation which for whatever reason, failed to actually make it onto the device. It’s definitely an upgrade from the original version we’ve seen on our Motorola Droid and we needed to get our hands on it. 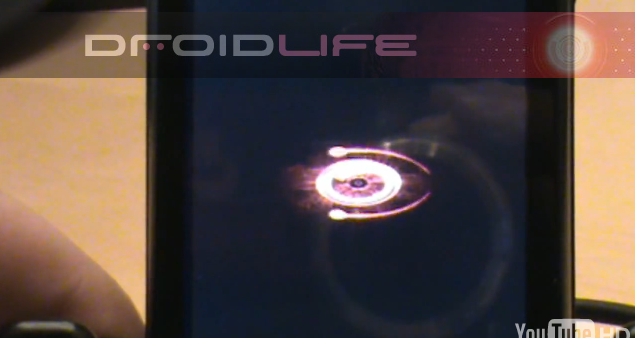 So yesterday, we challenged readers to snag video of the new Droid Eye and turn it into a new boot animation for the Motorola Droid. And sure enough, one of them did it. Update: Just realized after glancing back to the commercial post, that the real boot animation from the Incredible was posted if you own an Incredible. I’ll try to get instructions up on how to install that later. *If your /data/local/ folder already has a bootanimation.zip then you can skip to step 11. If it is missing, proceed to step 10. We need to find it! 10. Since you did not have a bootanimation.zip in your /data/local/ folder we need to find it. There is a search function in Root Explorer which can find it. Or, you can navigate straight to /system/media/ which is where I found mine. Once you find it, return to your to your SD card, long press on the bootanimation.zip that you downloaded and select “move” one more time. Now navigate to the folder which is holding your current bootanimation.zip and proceed to step 11. 11. Hit “Paste” which should be an option at the bottom of your screen. 13. Enjoy your the first ever Droid Incredible boot animation. Comments or questions? Pretty slick right? Huge cheers to Greg for sending this over!